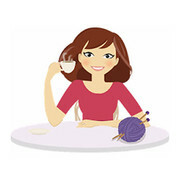 One of the things I had always wanted to try was to knit cables. 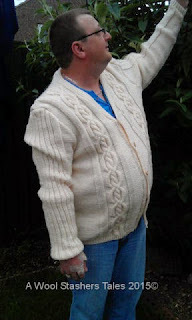 So when my OH said he wanted a Cabled cardigan making I took up the challenge, and boy! what a challenge it was! 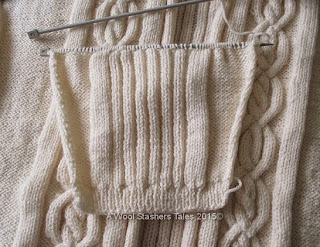 I looked for days for a simple pattern and soon realised there was nothing simple about knitting cables. I wouldn't be beaten though and OH picked this design NorthShore out of around 5 I had found in books, on the internet and looking through all of my many magazines. 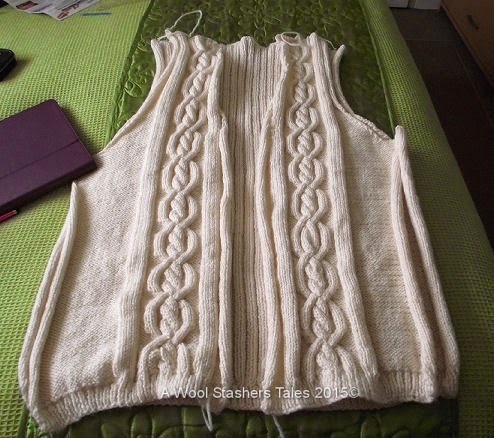 I decided to make my life easier by keeping the back and sleeves plain and simple and just concetrate (as best I could) on using the cable pattern for the front. 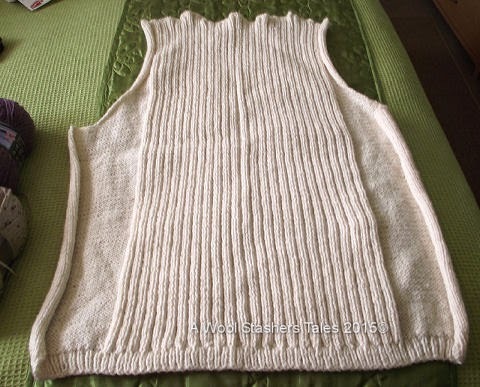 This back piece was knitted in a simple Knit 2 Purl 2 rib. But keeping with the plain garter stitch panel on the side which is what the pattern called for. 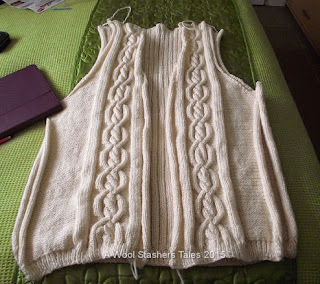 Once it was done, I stitched the shoulders, picked up stitches for the button band and then completely stitched it together. This alone took a few days making sure it sat right once worn. Here he is, modeling his new cardigan in our garden. He was over the moon with it and wears it regularly so my hard work paid off.